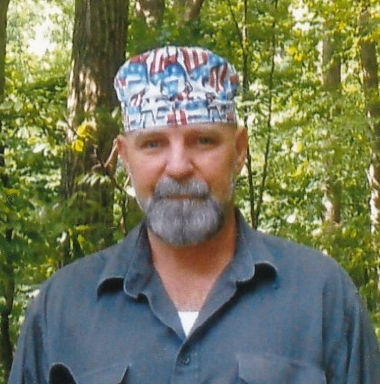 James Edward Cook "Jim", age 65, of Metamora, Ohio, died at his home with his family at his side, after a courageous battle with cancer, Tuesday evening, September 4, 2018. He was born August 28, 1953 in Lima, Ohio to Virginia May (Green) and Leroy Cook. Jim married Debra Sue Ward on March 4, 1977 at St. Mary's Church in Assumption, Ohio. Jim graduated from Lima Senior High School and enlisted in the U.S. Army where he served in Germany. He worked as a welder for Parker-Hannifin for 42 years. Jim's joy in life was his four girls': his wife, his daughter, and two granddaughters. If you met Jim once you had a new friend for life. Jim was a man of many talents, if it needed to be fixed, remodeled, or enlarged, he could find a way to do it. Jim is survived by his beloved wife of 41 years, Debra; his mother, Virginia; daughter, Alicia Cook; grandchildren, Cassidy Cook and Carissa Wilson; sisters, Janet (Bob) Hoen, Barbara Smith, Connie Chirico and Diane (Dave) Tobe; brother, Bob Cook; sister-in-law, Nadine Ward; brothers-in-law, Roger (Janet) Ward and Ron (Nam) Ward and numerous nieces and nephews. James was preceded in death by his father, Leroy Cook; sister, Carol Spencer, brother-in-law, Junior Ward and mother and father-in-law, Mary and Burt Ward. Friends will be received at Weigel Funeral Home in Metamora on Saturday, September 8th from 10:00 a.m. to 1:30 p.m., where funeral services will begin at 1:30 p.m. with Sr. Joy Barker officiating. Interment will follow at St. Mary's Cemetery in Assumption. In lieu of flowers, memorial contributions may be made to Holy Trinity School.